Are you unsure of what to pack in gift basket for a baby shower? The variety of options available can make choosing a set of gifts confusing. The large number of appropriate gifts to pack in your baby shower gift basket makes it impossible to go wrong. You can pack gifts for the new parents to ensure nobody is left out. 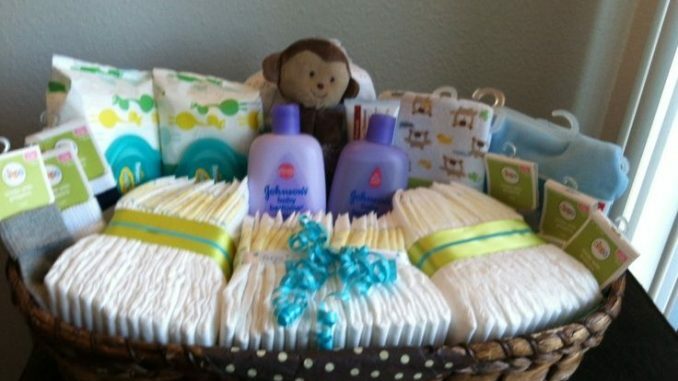 Here are some gift ideas for a baby shower gift basket, which you can learn how to wrap here. Babies will need to be changed often, and clothing can be convenient for new moms. Increasing the options available to them could help reduce their washing frequency, which affords them more time with the baby. Socks come in a variety of colors and prints, and can be paired with a choice selection of hats. 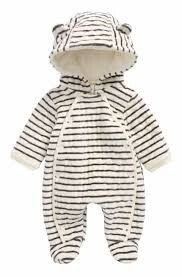 Onesies are a great option for future wear, with a variety of sizes coming in handy as the baby grows. If the baby shower is a get together with a few other adults, it could be a great idea to pack delicious treats and small snacks that will make for a better experience. The expectant mom can even store a few choice treats to relieve any craving. Granola bars, nut gifts, dried fruit, cookies and soy chips are some healthy and tasty options to help spice up a baby shower experience. New parents will focus too much on the baby and forget to take some time for themselves. They will often forget to eat right, or spend time with each other. 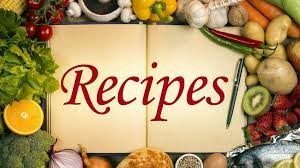 You can include a selection of recipes in your baby shower gift basket to help make your gift more wholesome. The soon-to-be parents could spend time making and eating healthy meals. Recipes on yogurt-covered cranberries, kale chips, bran muffin with a variety of nuts and tasty oat bars could diversify their diet and help them spend more time with each other. Babies go through a lot of diapers and nappies every day. A baby shower gift basket with these items is thoughtful and a great middle term option for expectant parents. You can also include swaddling blankets with your cloth diapers, a selection of baby friendly creams, lotions and bathing soaps. You can also include baby powder and other baby care products. A toy for the baby will be a memorable gift as they grow older. They could become attached to a rattle toy or stuffed animal. You can also include an interactive book to help them visually learn about topics such as nature. To give your gift selection an edge, you should include an adult gift for the parents. Including a pair of customized dice or cards for the adults, a stuffed animal for the baby and a selection of other appropriate baby shower gifts will make an unforgettable gift basket.